Tickets for the Jerry Riley Comedy and Music Review Show are no longer available. Sadly, this 20 year Branson Entertainment Veteran lost a battle with cancer in 2013. He will be missed on the Branson music scene. 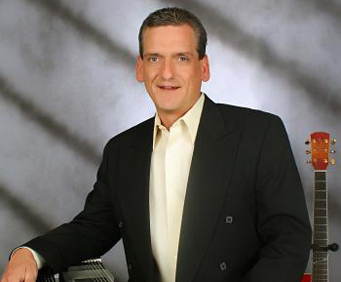 For some knee-slapping comedy combined with live music and plenty of audience interaction, don't miss your chance to see the Joey Riley Comedy & Music Review at the Mickey Gilley Theatre. This family-friendly show features the talents of veteran stage performer Joey Riley. You will be treated to raucous, Mardi Gras-style entertainment, and Joey's renditions of popular and classic country tunes. His 'Ace In the Hole' as he affectionately calls his English Bulldog Leroy, makes an appearance and will give a high five after the show. The audience will be asked to contribute to the show with a Dancing With The Stars style bit featuring Joey Riley on the accordion as wife Kelli dances with partner Mike Bliss, a finalist on NBC's America's Got Talent. Kelli Roberts Riley danced with the Cajun Connection at Silver Dollar City for 18 years. You will also enjoy musical performances by Melody Hart on fiddle and Scott Riley on bass guitar. Joey and brother Scott finish the show with their signature song The Wall as a tribute to veterans. What a funny and talented man. This is the fourth time we have seen him, he is great. "He is as great as ever." He is as great as ever.